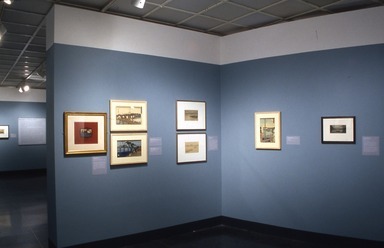 The object of such compelling observations also attracted artists of all nationalities and inclinations, from traditional English draftsmen who chronicled the topography of the Thames to such figures as James McNeill Whistler, Claude Monet, and André Derain, who produced more subjective evocations of the river and its surroundings. 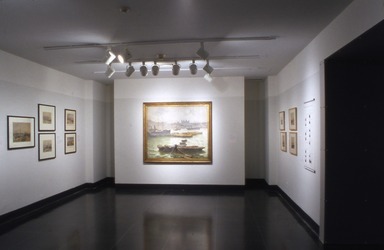 Some artists were commissioned to document the enormous changes that took place on the Thames during the second half of the nineteenth century, from the construction of bridges and sewers to the new embankments that provided picturesque promontories from which to observe this epicenter of industrial activity. Others used the Thames as a symbol of corruption because of the poverty, disease, and crime associated with its docklands and wharves. 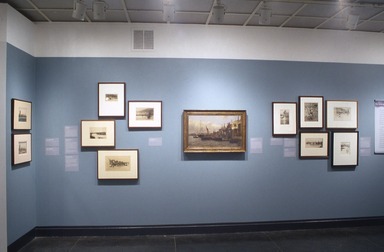 Artists chronicled the broad range of river subjects in an equally diverse array of media, from oil paintings and watercolors to etchings, lithographs, and the recently invented medium of photography. And when the evening mist clothes the riverside with poetry, as with a veil, and the poorer buildings lose themselves in the dim sky, and the tall chimneys become campanili, and the warehouses are palaces in the night, and the whole city hangs in the heavens, and fairy-land is before us—then the wayfarer hastens home; the working man and the cultured one, the wise man and the one of pleasure, cease to understand, as they have ceased to see, and Nature, who for once has sung in tune, sings her exquisite song to the artist alone, her son and her master—her son in that he loves her, her master in that he knows her. 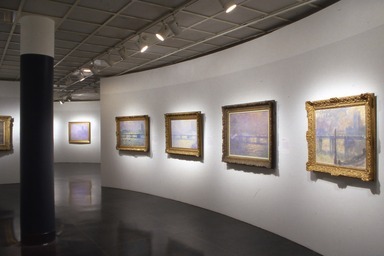 Over one hundred years ago, the French Impressionist Claude Monet exhibited his long-awaited series of London paintings, Vues de la Tamise (Views of the Thames). Monet’s embrace of this theme was his first return to an urban subject in several decades, and his first attempt to paint London since he had been a refugee there, in 1870–71, from the Franco-Prussian War. 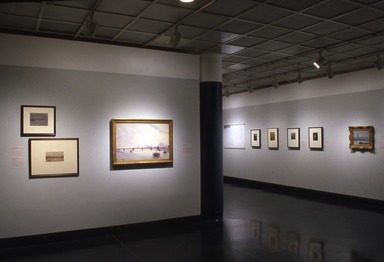 The London series resulted from three separate painting campaigns from 1899 to 1901. Monet stayed at the elegant, recently constructed Savoy Hotel, where he had a suite of rooms with a balcony view of the Waterloo and Charing Cross Bridges on the Thames. While he concentrated on these two bridges during his first stay, he added the Houses of Parliament on his second trip, thanks to the American painter John Singer Sargent, who secured him permission to paint them from the vantage point of St. Thomas’s Hospital across the river. Staying a few months for each visit, Monet would return to his home in Giverny with his unfinished canvases. He then took an additional three years to complete the almost one hundred canvases in all. 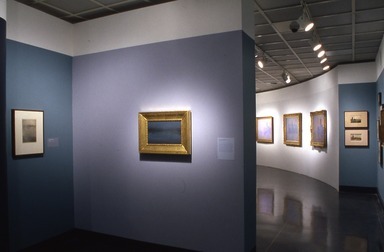 Nearly sixty years old when he began the series, Monet was a successful and sought-after artist who nonetheless continued to search for new subjects that would challenge his eye and his art. The London paintings embody the paradoxes of his work: the wish to record instantaneous notations of a transient effect while at the same time acknowledging the laborious process that was required to produce them. As he had once said about his series paintings: “I’m becoming so slow in my work that it makes me despair, but the further I go, the better I see that it takes a great deal of work to succeed in rendering what I want to render: ‘instantaneity,’ above all the enveloping atmosphere [enveloppe].” By the time he painted the London series, Monet was searching for qualities that allowed people to “live for longer” with his pictures, seeking to portray both the moment that was the starting point of the picture, and the idea of the subject, which evoked a completely different temporal sensibility. In a letter written during his second stay in London, he said he realized that some of his paintings, though he thought them almost finished, were “not London-like enough,” and required “some bold brushstrokes” to bring them into line with his idea of London. 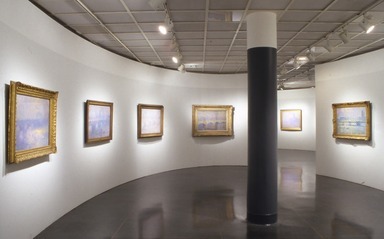 The complexity of capturing the changing effects of light and atmosphere is revealed by the increasing number of canvases Monet chose to paint. 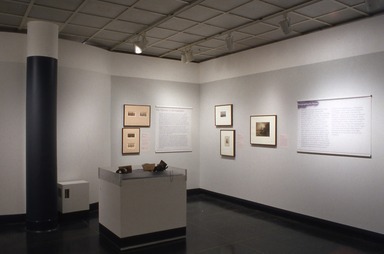 Arriving for one visit on February 11, 1900, by March 1 he had begun forty-four pictures, a number that had increased to fifty by March 4, and to sixty-five by March 18; by the end of the month, he returned to France with eighty canvases. 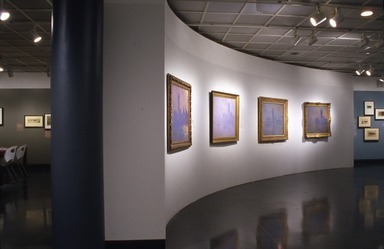 After five years of work, Monet exhibited thirty-seven canvases to great acclaim at the Paris gallery of the noted art dealer Paul Durand-Ruel in May 1904. In one of the exhibition’s many favorable reviews, the critic Charles Morice dubbed Monet “master and king of the ephemeral,” the true hero of his painted “drama” being the fog on the Thames. The Thames flows through London in a serpentine course from west to east, dividing the city into distinct districts. The greater portion of the city lies on the north bank of the Thames and itself separates into two halves, the East and West Ends, with a small district at the center known as the City of London. The East End, beginning to the east of the Blackfriars Bridge, contains working-class residential neighborhoods and the Southwark and Tower Bridges. In the nineteenth century it included London Bridge, the fish market at Billingsgate, and the then industrial districts of Wapping and Limehouse, which were centers of warehouses, wharves, and shipbuilding. The West End encompasses the Houses of Parliament, commercial districts, residential neighborhoods of aristocrats and the wealthy, and the Waterloo, Charing Cross, Westminster, and Lambeth Bridges. Chelsea and Westminster, once villages distinct from the city, were absorbed in the early nineteenth century by the ever-expanding metropolis. In their efforts to depict “modern life,” artists were drawn to the south bank, or Surrey side, of the Thames, which contained its industrial and maritime industries. To the west, the districts of Battersea, Lambeth, and the borough of Southwark housed factories, glassworks, potteries, and breweries. Tanneries, glue factories, and wool warehouses occupied the east, while sailors, bargemen, and shipwrights frequented the docks of Rotherhithe. Large ships coming from around the globe to deliver their goods could travel up the Thames only as far as the deepwater area known as the Pool of London, to the east of London Bridge. There, goods would be off-loaded to warehouses or onto smaller barges for passage farther up the river. The American expatriate artist James McNeill Whistler (1834–1903) moved from Paris to London in 1859 and focused his work, both painting and etching, on explicitly modern subjects, particularly the River Thames and its banks. In this, he was asserting his place as a realist, committed to the representation of all facets of modern life. His series of sixteen etchings later referred to as the Thames Set, depicted the everyday reality of river life, exploring the buildings, boats, and people of London’s docklands. Though Whistler rendered some aspects of these scenes with considerable visual detail, he left other parts of these compositions blank or only summarily filled in, conveying the sense that these sights were viewed informally, as if in passing. To capture that immediacy, he worked directly into the waxed copperplate, without any preliminary sketches on paper. 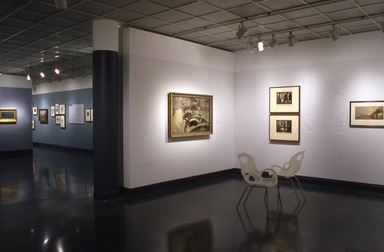 In his desire to capture the impression, or effect, produced by a scene, instead of recording all of its precise detail, and in his embrace of modern subject matter, he looked ahead to Impressionism. 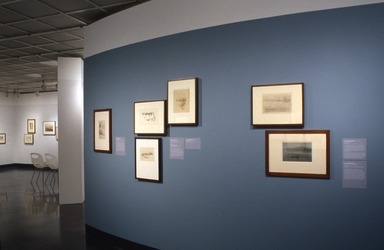 The Thames Set, from which seven out of the original sixteen etchings are shown here, was greatly admired by the French poet and critic Charles Baudelaire when it was exhibited in Paris in 1862. Baudelaire wrote that the images were “subtle and lively as to their improvisation and inspiration, representing the banks of the Thames; wonderful tangles of rigging, yardarms and rope, a hotchpotch of fog, furnaces and corkscrews of smoke: the profound and intricate poetry of a vast capital.” But Whistler complained that “Baudelaire says many poetic things about the Thames, and nothing about the etchings themselves.” Nevertheless, this series of prints established Whistler’s reputation in France, England, and America. The stereoscopic viewer and the stereographic print derive from the “reflecting stereoscope” invented in 1832 by the British physicist Charles Wheatstone. Wheatstone first made twin drawings of an object, each mimicking the perspective of the left or right eye, respectively. With the use of mirrors, Wheatstone’s device then combined the pictures into a single, three-dimensional image. 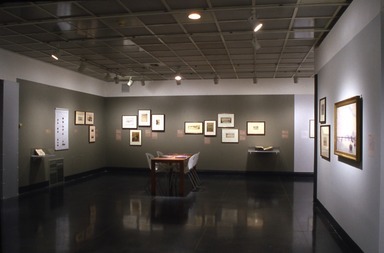 Soon after the arrival of photography in 1839, Wheatstone’s drawings were replaced by photographs. Though initially the device used one-of-a-kind daguerreotypes, with the introduction of glass-plate negatives in 1851 stereographs could be mass-produced. 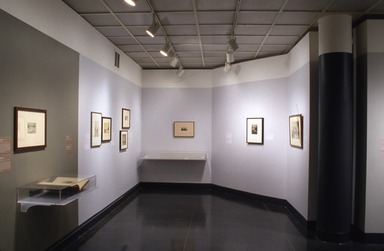 Generally, a stereograph a was four-by-seven-inch rectangular card with two photographs, usually albumen prints, mounted next to each other. As with Wheatstone’s device, the pictures are made by a dual-lens camera with the centers of the two lenses placed at the same distance from each other as the centers of two human eyes. 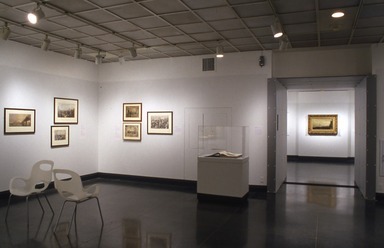 In the examples exhibited here, note how the photographs are not identical but show a slight lateral shift. 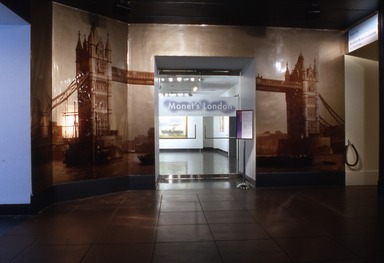 May 8, 2005 Monet’s London: Artists’ Reflections on the Thames, 1859–1914 will present selections from Claude Monet’s series of London paintings, created between 1899 and 1904, alongside artworks by his contemporaries, including paintings, prints, watercolors, drawings, and photographs by European and American artists.The exhibition will be on view at the Brooklyn Museum from May 27 through September 4, 2005. 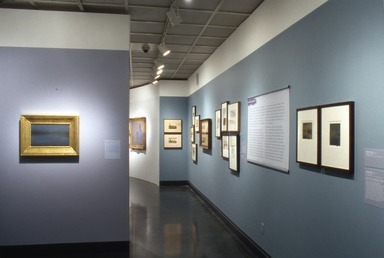 Comprising some 140 works on loan from public and private collections in Europe and the United States, the exhibition addresses a range of modernist styles, including Impressionism, pointillism, and Fauvism as well as including topographical and academic views of the Thames. 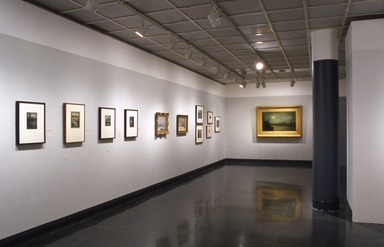 In addition to eleven paintings, a pastel, and a sketchbook by Monet, there will be works by other European artists such as Camille Pissarro, James Tissot, André Derain, and Charles-François Daubigny, as well as the Americans James McNeill Whistler, Winslow Homer, and Childe Hassam. Whistler was among the first of the artists to be captivated by the river and his Thames Set became one of the most influential series of prints of the period, inspiring other artists, including Monet. Claude Monet (1840–1926) was one of a number of artists experimenting with new approaches to painting who were drawn to the industrialized city of London, with its bustling riverfront, frequently shrouded in nearly impenetrable fog. Monet began his series of views along the Thames in the fall of 1899, returning in 1900 and 1901 to continue to capture images of landscapes in a very different light than that to which he had been accustomed. Many of Monet’s London views were painted from his lodgings at the Savoy Hotel and from across the riverat St. Thomas’s Hospital, where he had expansive views of the Thames. There he became fascinated bythe effects created by the atmospheric conditions—the fog, mist, and reflections on the water. 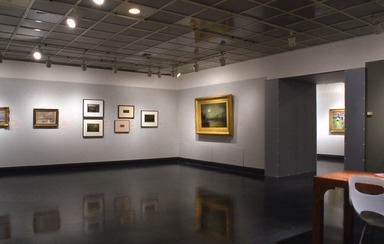 Unable to complete all of his paintings while in London, he continued to work on them after he returned to Giverny, exhibiting them as a group in 1904. Among the works on view will be the Monet’s Houses of Parliament from the Brooklyn Museum; Daubigny’s St. Paul’s from the Surrey Side, 1873; Derain’s London Bridge; Homer’s The Houses of Parliament; Pissarro’s Charing Cross Bridge, London, 1890; Tissot’s The Thames; and Whistler’s The Last of Old Westminster, 1842. 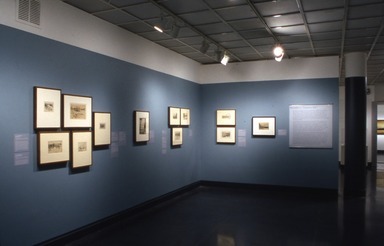 The exhibition will also include a number of fascinating contemporaneous photographs from the early years of experimentation in the medium, including images by Roger Fenton and Francis Frith, among others, as well as photogravures by Alvin Langdon Coburn. 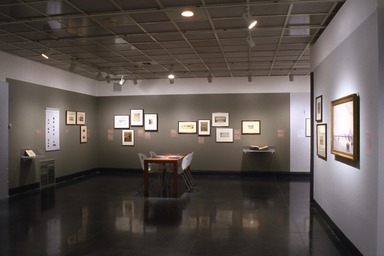 Also included are works by such painter-printmakers as Félix Buhot, Henri Guérard, and Joseph Pennell, as well as vintage maps, guidebooks, and other ephemera. 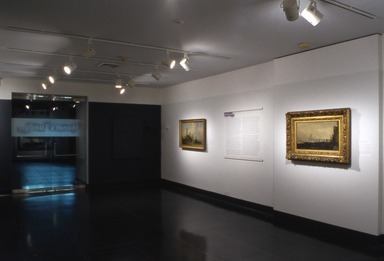 Monet’s London: Artists’ Reflections on the Thames, 1859–1914 is organized and circulated by The Museum of Fine Arts, St. Petersburg, Florida and has received indemnification from the Federal Council on the Arts and the Humanities. 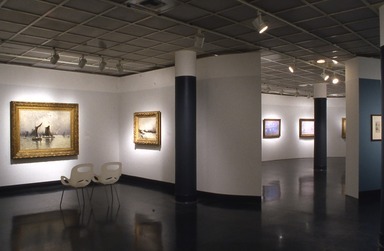 British Airways is the official airline of the exhibition. 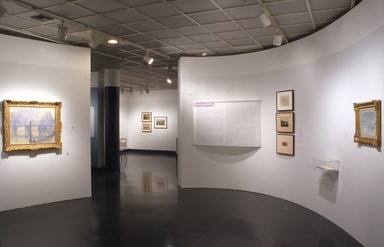 The exhibition in Brooklyn is made possible, in part, through the generosity of DLA Piper Rudnick Gray & Cary US LLP. Additional generous support is provided by Sweet ‘N Low and Willkie Farr & Gallagher. 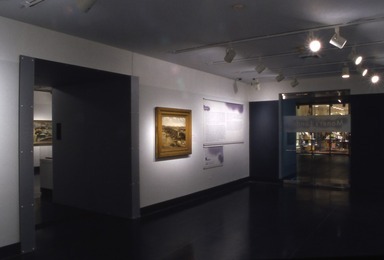 The Brooklyn Museum presentation is coordinated by Elizabeth A. Easton Ph.D., Curator and Chair, Department of European Painting and Sculpture. 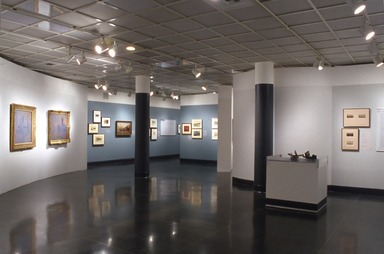 The exhibition was on view at the MFA in Florida January 16–April 24, 2005. 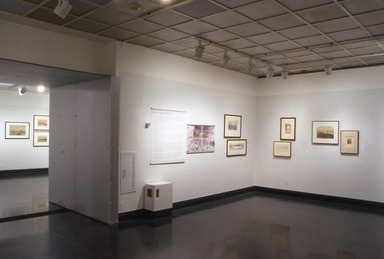 Following the Brooklyn showing, it will be on view at The Baltimore Museum of Art October 2–December 31, 2005.